I've had one of those weeks where everything is happening yet little is achieved. It's been over a week since I blogged and I haven't written one word of my novel or started on a short story as I had meant to. So, what has been happening? Last weekend my car died. Although expected, I had hoped it would last a little longer. But when both oil and water start squirting out of the engine, it's a very bad sign! So hubby and I have been touring the car sales yards, squizzing the classifieds in the paper and stalking our national internet trader - Trade Me. So far we have come up with nothing - which has left me just a little house bound. Of course we never get plagued with just one thing to deal with - do we? My daughter came down with a nasty tummy bug and hubby pulled the ligaments in his shoulder at our sons hockey practice. I wonder what will be next? On a lighter note, our eldest had a school trip to Mt Cook where he visited a glacier, a sanctuary for Black Stilts and the Benmore power station. He came home last night, exhausted but happy. 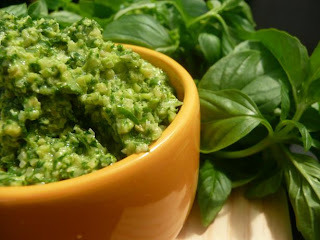 And a mild achievement for me: having spent the last 2 - 3 months growing Basil plants from seed, I harvested them yesterday and made one precious jar of Basil Pesto - yum! And with the unseasonably warm weather we have been having, I'm hoping to harvest another batch in a month. Fingers crossed. On a literary note, I am reading Kept, by D. J. Taylor - there's a picture of it on the left. It is described as a Victorian mystery and is proving to be an absorbing read. I am enjoying the many threads that are slowly entwining into one intriguing story. I'm looking forward to reviewing it. Next post I hope to share news of my new car and copious amounts of writing. Not quite what I'm looking for ... but ain't she grand? We have basil growing in our little patch of herbs too. Smells divine after picking and chopping. Your pesto looks delicious. Joanne - hope you have a great weekend too! I'm so sorry that things are not going well for you. I hope they improve soon. That pesto looks delicious! Clarissa - thanks. There is light at the end of the tunnel.